It’s been a familiar—and frustrating—theme with these Giants through the years: take one step forward, two steps back. Monday night’s humiliating loss to division rival Philadelphia is merely the latest example. Coming off an emotional come from behind win the week before, and with a chance to grab a stranglehold atop the NFC Least, Big Blue instead no-showed…on national TV, against a division rival, yet again. Outside of the first two drives, the Giants couldn’t run the ball, couldn’t block, took inexcusable penalties, saw their quarterback throw an inexplicable pick-6, and ultimately, watched as their defense crumbled after being forced to stay on the field for the majority of the second half. They lost by 20 in a game where they forced four turnovers—a feat so bad it’s almost impressive. But, should we really have expected anything else from this mercurial bunch? Even against an incredibly unimpressive Eagles bunch led by the ghastly Sam Bradford? History tells us no. Take last season, for example. After dropping their first two games, the Giants rattled off three consecutive wins, and were anointed by many pundits the class of the NFC East…only to get embarrassed in Philadelphia in week 6. Sound familiar? It should. They just finished running the same exact gauntlet of early season mediocrity this season. Oh yeah, they played Dallas in week 7 in 2014 too. But what if we go back further? 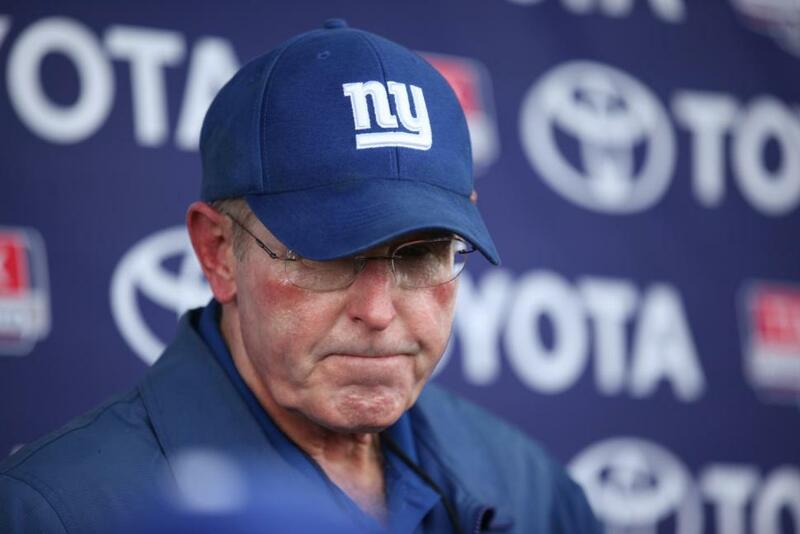 Surely there’s some reason to get one’s hopes up about these Tom Coughlin-led Giants if we delve further into the annals of history. Lets look at 2012. Atop the NFC East at 8-5, the Giants, with blowout wins over New Orleans and Green Bay in their back pocket, dropped their next two in humiliating fashion—34-0 in Atlanta, and 33-14 in Baltimore—to effectively end their playoff hopes and any dream of a repeat coming off of the prior season’s Super Bowl triumph. What will this week bring? Who knows. If there’s one thing these Giants are, it’s unpredictable. On paper, and according to oddsmakers, Big Blue is favored at home against a battered Dallas squad reduced to starting Matt Cassel—in just his 5th week with the team—at Quarterback. Win, and they’ll again be championed as the class of the NFC Least. Lose, and the whispers of sweeping changes in the offseason will once again gain traction. They almost had us fooled this time. Coming off a road win in Buffalo and a classic Eli Manning last minute drive to victory against San Francisco, their were fleeting signs that this time—with Tom Coughlin coaching for his job—it would be different. But, same old Giants.